Chances are that even Steven Spielberg would enjoy playing Jurassic Slots even after all the money that his blockbuster franchise starter made all these years ago. This slot game wonderfully adapts the atmosphere of the famous film, featuring outstanding animation and great emotionally satisfying rewards. Jurassic Slots offers 25 paylines and 5 reels. The first piece of advice for players regarding this game is to always play on all the lines if you want to reach out and get the dinosaur share of the rewards. The bet per lines starts at 1 cent and reaches 10 dollars which makes the biggest bet for a spin 250 dollars. 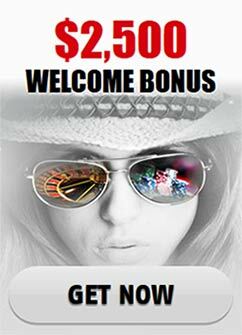 The biggest award that the dinosaurs on the reels are guarding is 5000 coins and if you bet the maximum amount and emerge successful, you will be bringing home the stunning award of 50, 000 dollars. So, how do the symbols for a dinosaur-themed slot game look like? As you might have guessed, there are many species-if you are a real geek on the subject you should recognize them immediately and if you are an admirer of the film you will know most of the game’s icons. Apart from the mythic beasts themselves, on the reels you will also get to see eggs, a forest symbol, a volcano and fossils. The evil, waiting to be eaten human beings are depicted via the jeep, the chopper and a woman with a fire arm. The T-Rex, as the most important dinosaur in the franchise is the wild: it has the capability to replace the rest of the symbols with the game with the exception of the scatter symbols and the special additional bonus symbols of the game. The Jurassic forest is honored to be the scatter symbol. Apart from providing players with solid rewards it also gives 10 free spins. The first of the special bonus icons is the dinosaur egg. If you collect four of the eggs in your bag in a payline that is activated a bonus game will be started. This extra level offers four levels. The initial one you will have to choose one out of nine objects. One of these nine is a trap and if you select any of the other eight you will move on to the next stage and then to the third in both of which the same order of play applies but the value of the prizes will be increased. A long time has passed for this slot game to be created and it has been well worth the time. You will have multiple chances for earnings that are fit for a world of such giant beings while you enjoy the beautifully drawn fan-favorite creatures.